TrueAchievements have reported a teaser on the Microsoft Store which reveals a number of digital preorder bonuses for the XBOX One edition of Control, along with a potential release date. At present, the nearest confirmed release date was announced by Nvidia earlier in the week, which sees Jesse's adventure launch "late summer". Listed in the game's details on the Microsoft store, the game is due to launch on 27th August 2019. True Achievements also caught details of pre-order incentives. Unlike the potential release date, the digital pre-order bonuses look to have been removed from the Microsoft site since. TA reports that the XBOX One preorder bonuses include the"Tactical Response Gear" and a "Crafting Resources Pack". According to their store, pre-orders are expected to begin 26th March. 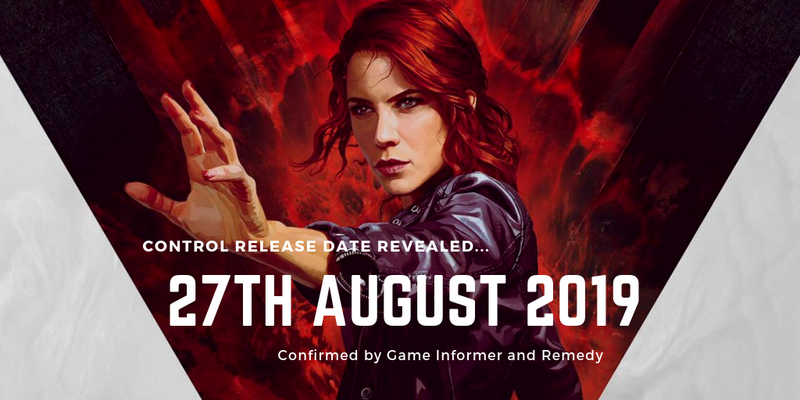 We're marking this as a rumour as there's been no official confirmation by Remedy or 505Games. UPDATE! Game Informer has just published an update confirming the release date for Control. The confirmation was supported by Remedy. Mark your calendars for Tuesday 27th August 2019!